"Hudson River of Bricks" at ArtsWestchester in "Brick to Brick"
"Brick by Brick: The Erie Canal & the Building Boom"
With its beginnings in the 1700s and New York’s early Dutch settlers, the story of brick-making in the Hudson Valley is a truly American story, rich with complex and challenging intersections of immigration, industry and innovation; of family enterprise, environmental impact and economic development. 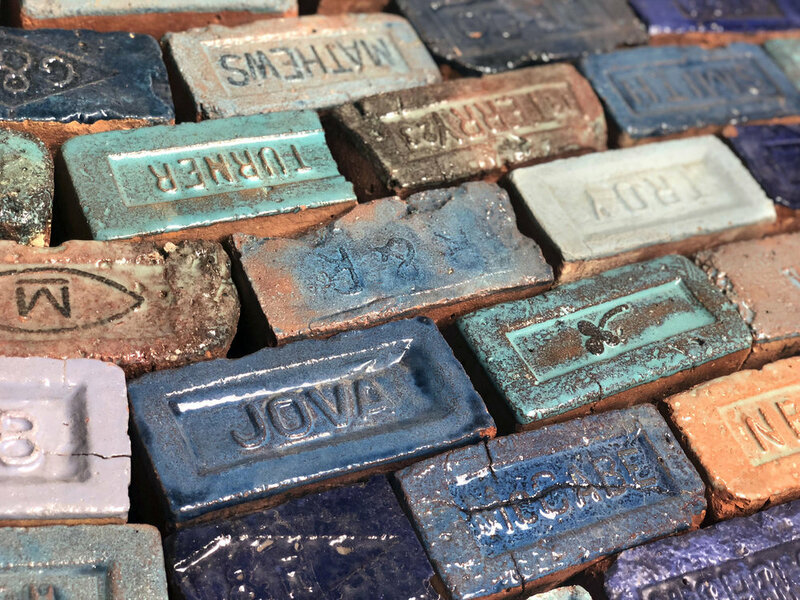 While the state’s brick industry faded after World War II, its byproducts are still present today in the cultural and physical composition of our towns and cities. Sidewalks, canal stations, municipal buildings, homes of all sizes, public works, factories and storehouses were built with Canal corridor brick.